Tablets are raining, not only from Indian companies but also from major global players. If you think that the time is for Apple iPad mini and Microsoft’s Windows 8 powered Surface tablets, Google is all its way to take the thunder from the competitors! After Google’s Nexus 7 and Amazon’s Kindle Fire get very successful run with 7 inch display, Apple – the leader in tablet maker with iPad, has introduced iPad mini – a 7.9 inch variant of iPad. Today Microsoft officially launches Windows 8 along with Surface tablets. Windows operating system takes a major change in UI as it gets more touch friendly intended for tablet users. Now stealing the show Google announces a lot – Android 4.2 Jelly Bean, Nexus 4, new Nexus 7 and bigger Nexus 10 (with 10.1” display Android takes on Apple iPad). A new version of Android and three major flagship devices for everyone’s need Google really drinks health of its competitors. 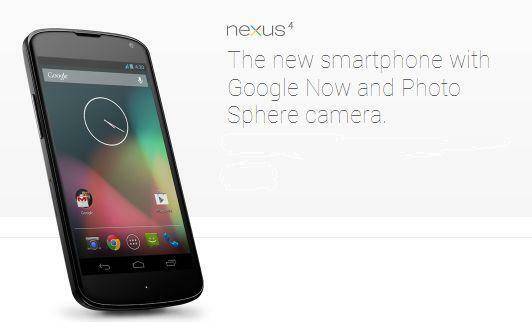 Google and LG delivers Nexus 4 – the fourth Nexus smartphone. In selected countries Nexus 4 will debut starting November 13. It is priced quite aggressively – 8GB for $299 and 16GB for $349. Some reports say LG may not delay much to roll out Nexus 4 in Asia including India. Nexus 4 may be launched by end of November this year. It is expected that there will be LTE variants too, depending upon carriers’ request. Nexus 10 is Google’s first 10.1 inch tablet, co-developed with Samsung. Google describes it as “ultimate tablet for watching movies or reading magazines“. 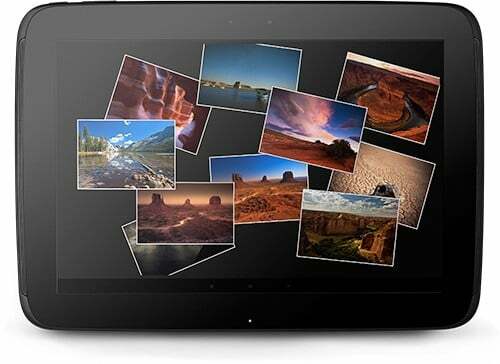 Nexus 10 is the highest resolution tablet on the planet at 2560×1600 (300ppi). It is also scheduled to debut starting November 13. 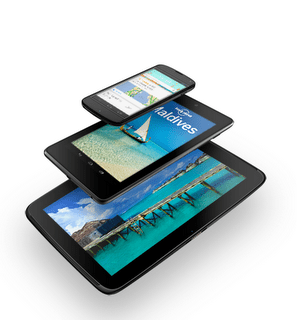 Currently there is no 3G variant – 16GB Wi-Fi-only Nexus 10 will be priced at $399 and the 32GB version for $499. Google’s first tablet gets better. Now Nexus 7 comes with 3G connectivity, which is missing on earlier versions. 8GB version is withdrawn, WiFi-only 16GB comes for $199 and 32GB comes at $249. 32GB 3G version is priced at $299. Specs are same as before but new versions are coming with Android 4.2 Jelly Bean. Gesture Typing -just glide your finger over the letters you want to type, and lift after each word. You don’t have to worry about spaces because they’re added automatically for you. The keyboard can anticipate and predict the next word, so you can finish entire sentences just by selecting suggested words. Power through your messages like never before.